If small pieces of metal (eg. 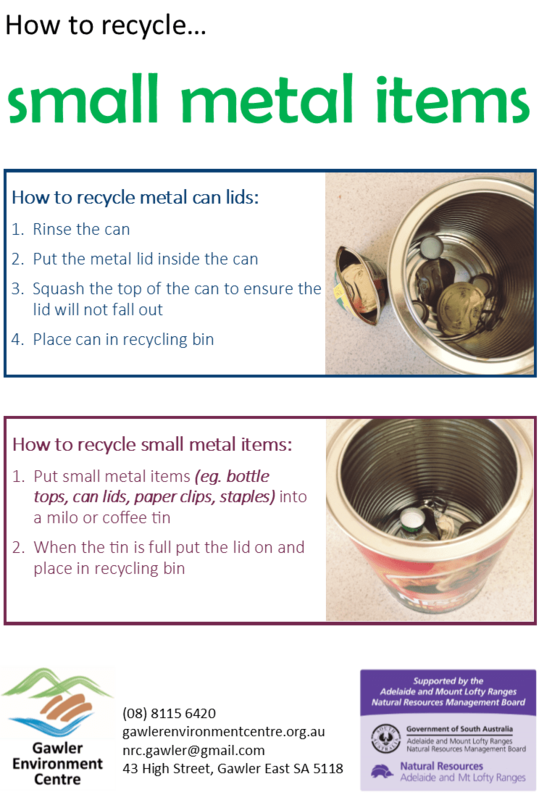 bottle tops) go into the recycling bin loose they will end up in landfill as they are too small to be sorted. OR put small pieces of metal into a smaller can (eg. baked bean) and squash the top of the can to ensure they can’t fall out.